The start of warm weather always inspires me. And even though Charlotte has completely skipped spring and went right to summer, this warm weather is inspiring me to get in the kitchen and cook with fresh spring flavors. I had a yummy pasta salad at a small restaurant in Fort Mill, SC earlier this week and it got me thinking about all the wonderful things you can do with pasta, especially cold pasta. 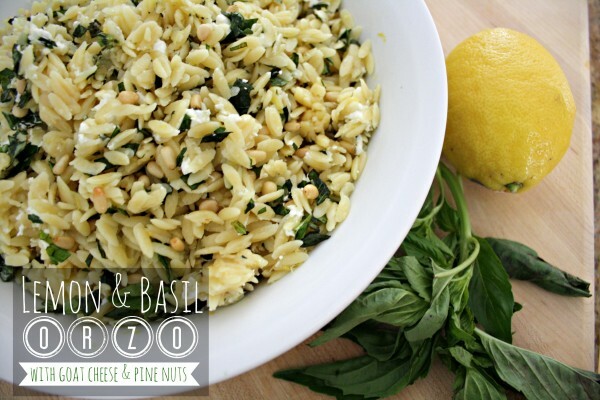 From there I came up with with Lemon & Basil Orzo with Goat Cheese and Pine Nuts. You can heat it up if you like, but I really prefer it slightly chilled or served at room temperature. This recipe is quick and easy and you can whip it together in no time flat as a side dish for a party or even as a main dish for a light dinner paired with a side salad. Check out the recipe on the Eat My Charlotte blog. 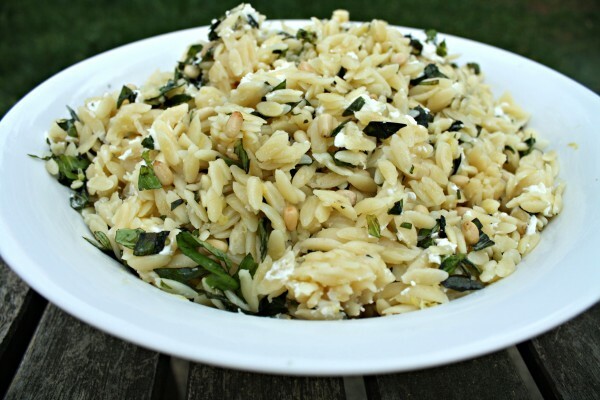 Orzo is one of my absolute favorites – cold or hot. This is an awesome combination of flavors – can’t wait to try it!